They are a punk band but they don't play punk rock, exactly. They mess around with country, reggae, cabaret, folk, Eastern music and whatever else they can shake loose in their cultural scavenger trips. 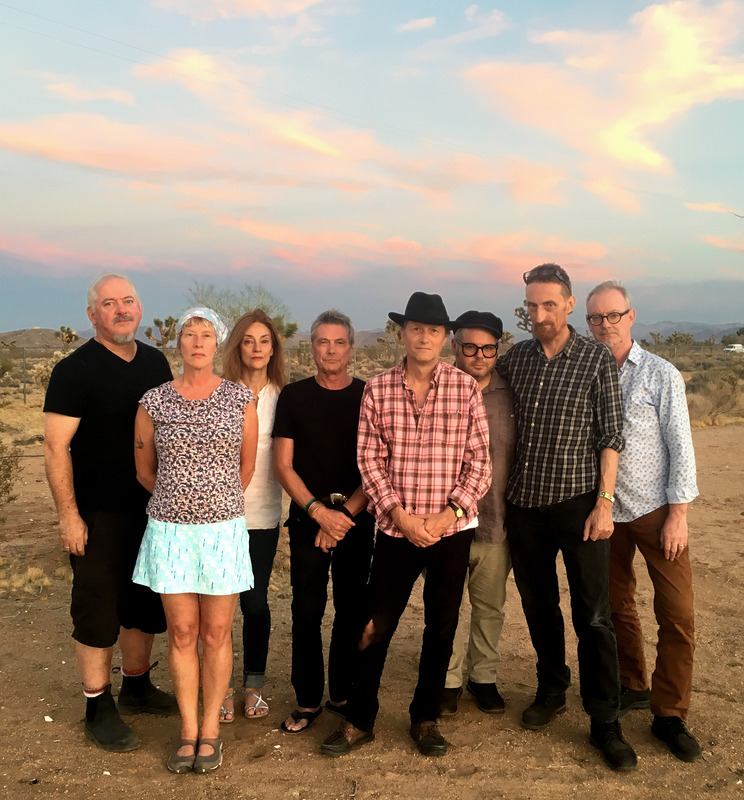 Emboldened by a sold-out tour and a surge of interest in the States after the release of the documentary Revenge of the Mekons, the band retreated to the fringes of Joshua Tree National Park and popular culture to record their new album Deserted. The long-running, genre-hopping, impossible-to-kill British folk-punk collective summoned the forces of magic, fear, and superstition for an album of shifting sand Sturm und Drang. It is at once a distorted howl into the emptiness of space, as well as a quiet submission to the shimmering allure of a mirage. The heat and endless horizon can lead to madness or clarity, and while there is relief when the sun goes down, you know the deep chill is not far off. “The idea was to go to a brand new studio our bassist the Baron had set up just outside Joshua Tree in Yucca Valley, CA and see what happened—we were in the middle of a hectic tour and had been attempting to write material first by email and then in the van... Most of what we wrote was abandoned after arriving at the Los Gatos compound. The desert is not unlike the ocean (just drier) and equally inspirational to old pirate punk rockers. The harshness of the environment, the bold and embattled plants and creatures that live there are metaphorical for us perhaps. Have you seen the desert after the rain? Cinematic and widescreen in its sonic scope and with a live band immediacy, Deserted is the Mekons at their finest. And whether you are up against yourself, or an entire system, the indifferent stars still shimmer above, while rage, humor and irony are usually on the same side of the Mekons coin. From the onrushing sunrise squall of “Lawrence of California,” the album plays like the soundtrack to a movie of flames, romance, dissolution, and destruction. Jon Langford’s prickly and jagged guitar, angry pub singalong exhortations, and Susie Honeyman’s Middle Eastern-touched fiddle make the song a distorted lodestar for the journey. With the rhythms and atmospherics of Steve Goulding (drums), Dave Trumfio (bass), and Rico Bell (accordion/vocals) as a foundation, the album is full of space; never claustrophobic, but often susceptible to the blurry hallucinations on the horizon. Tom Greenhalgh’s parched vocals on “HARAR 1883” and “How Many Stars?” add a mournful sense of fragility to the disoriented traveler, while Sally Timms’ dream-like voice turns “Into The Sun” into an oasis—the incantations at the end rising as a shield. On “In The Desert,” Timms is a bulwark against the cruelty that awaits beyond pools. Throughout, Lu Edmonds’ obscure stringed instruments are as psilocybinally piercing as Peter O’Toole’s blue eyes. Deserted is folk music made by folks who are pissed and disillusioned, lost and longing to be found, but only on their terms. 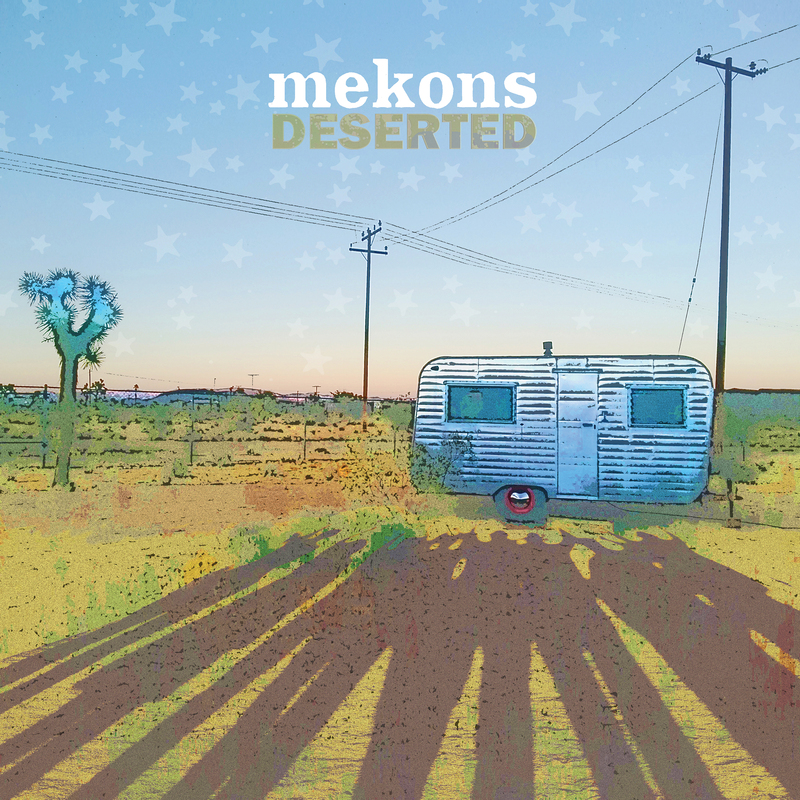 Deserted, Mekons' first proper album in 8 years, will be released on March 29th, 2019. Sonic adventurers, punk rock fundamentalists, exuberant luddites, willing outcasts. 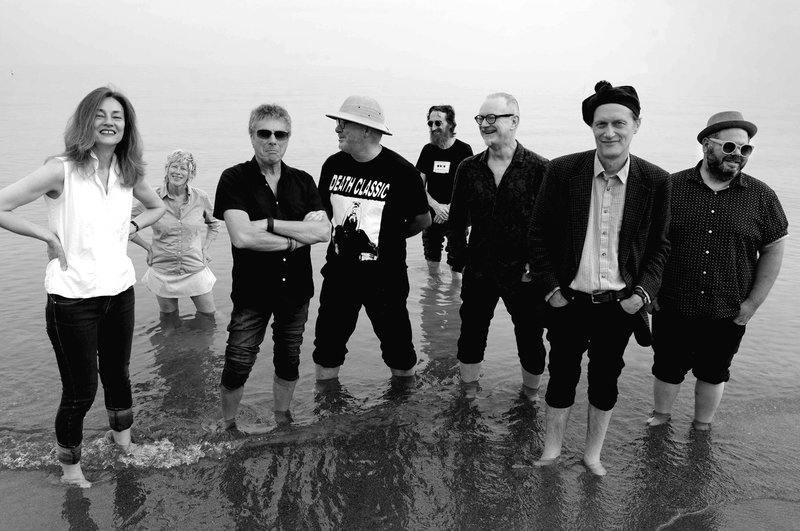 The genre-defying Mekons formed in Leeds, England in 1977, born form the emerging British punk scene. They progressed from socialist art students with no musical skills to the prolific, raucous progeny of Hank Williams. This current classic line-up has remained intact since the mid-1980s. Theirs is an improbable history – a surprising and influential embrace of folk and country music; with occasional forays into the art world. Throughout their history, they have worked collaboratively and collectively with everything credited to the band, never to individuals. Their mind-boggling output consistently blurs the lines between high art and low and has included exhibitions in the UK and US, a deranged musical recorded and staged with Kathy Acker, an art performance with Vito Acconci, and several books including the unique art catalog/unfinished novel Mekons United. The mekons continue to make bold, unpredictable music while staying true to the punk ethos. Their mind-boggling output consistently blurs the lines between high art and low and they remain one of the truly great live bands. 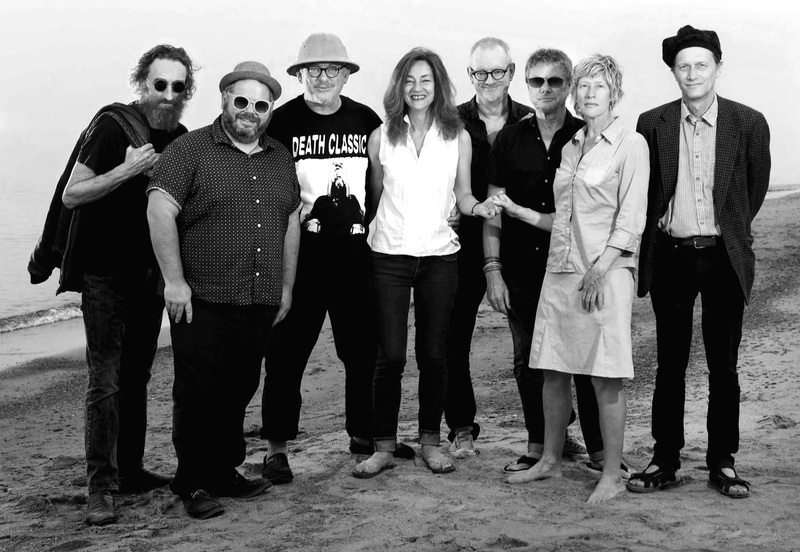 Mekons are subjects of the fantastic 2014 documentary Revenge of the Mekons, which you can watch on Netflix, iTunes, and Amazon. 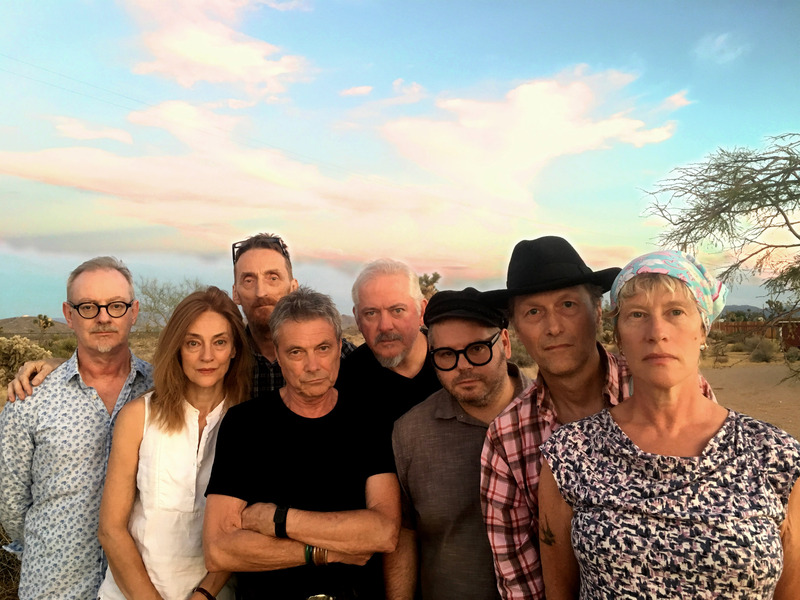 Mekons "Fear & Beer (Hymn for Brexit)"